A Midlands State University male student landed himself in trouble with the law when he wrote three love letters to a fellow male student. The student, Tafadzwa Ngodzo (20), who has since been arrested by police, told the complainant, Mr Shepard Mwapona that he wanted him to be his "girlfriend". Mr Mwapona who is commonly known as Jojo at the MSU campus, only reported the matter to the police after Ngozo made some moves one night when he was asleep. Apparently the two shared a room in Nehosho high-density suburb, where most MSU students reside. 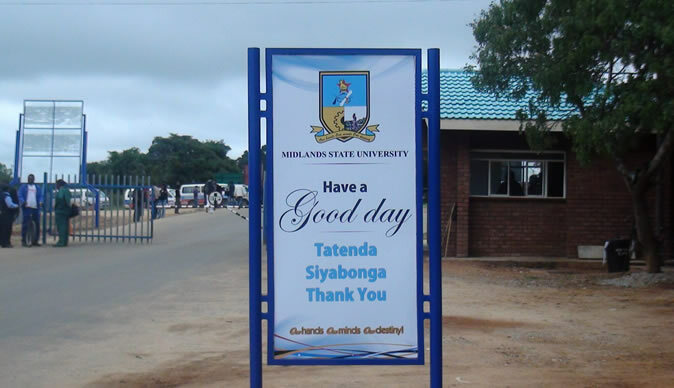 According to court documents, the complainant, Mr Mwapona and his aggressor, Ngodzo are both Level 1:1 History and Development Studies students at MSU. In the three letters that Ngozo wrote to Mr Mwapona explicitly expresses his feelings for him. "Dear my charming Shepherd Jojo…… Since the very first day I met you, you caught my eye in the lecture room because you were distinctive from other guys in class, calm, seductive and charming in character. I could feel my heart pondering at the sight of you because I love you. "I could not help but fantasise about you and me that day when we met and we were sitting at the (Multi-Purpose Hall) MPH and around 5pm…," read part of Ngodzo's first letter. All the letters were hand written. Ngodzo wrote two more letters once again confessing his love to the complainant while apologising for fondling him in the third letter. "I am deeply sorry about what happened midnight. I don't know what really got over me today… that isn't justifiable either. I am to blame for the incident. I am sorry if I have done you wrong this evening. Maybe it was not intentional shaas… you know I would never want to hurt you because I love you," read the apology letter. Meanwhile, Ngodzo was on Saturday arraigned before Gweru regional magistrate Mr Morgan Nemadire facing an indecent assault charge. He pleaded guilty to the offence and was sentenced to six months in prison. Three months were suspended on condition of good behaviour.